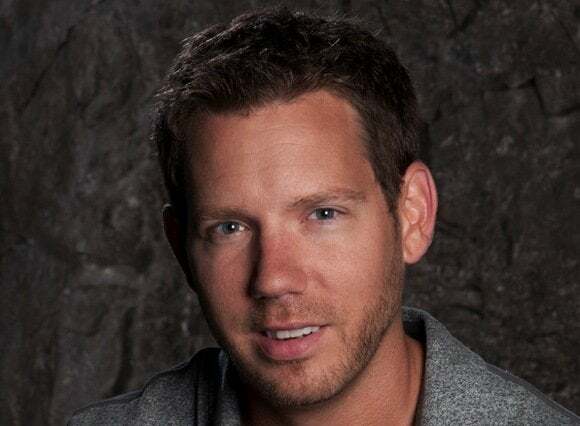 Famed game designer Cliff Bleszinski—who helped create Unreal, Gears of War, and more during a two-decade stint at Epic games—has emerged from his nearly two-year sabbatical to reveal his new game studio, Boss Key Productions. Its first game, code-named Project BlueStreak, is a free-to-play PC arena-based shooter that will be published by Nexon in 2015. With the Raleigh, NC studio officially opening its doors last week, I sat down with the new CEO to talk about his second act as a game developer and the future of free-to-play shooters. PCWorld: How has taking a break from the grind of game development helped you creatively with re-entering the crowded shooter space? Bleszinksi: Imagine what it’s like as a creative having a year and a half plus, where you can just think about things like character, weapons, settings, and game mechanics without having the driving force of the rolling boulder of the budget behind you. It has been absolutely fantastic. As excited I am to go into this new foray, I’m a little bit sad to leave the life of sleeping in to whenever and sitting by the pool and reading books. But I’d get Tweets before I even announced I was coming back from people saying the industry needs me and people miss me and my touch. At the end of the day, I want to be the guy who does things, as opposed to the guy who says things. There’s a certain type of developer who really isn’t doing much, or maybe they’ve made enough money and they just talk all day online posting on Reddit or Twitter. I want my work and my legacy to speak for me more than just posts of 140 characters. How have you see the quality level of free-to-play games evolve over recent years? When you look at the rise of the uber successes of free-to-play like League of Legends and Dota 2, these are games that are incredibly deep and incredibly complex and take almost years to master. The beauty of these games is the community helps solve some of the balancing issues through the wisdom of the crowd, and what happens is you have a game that people don’t feel angry or bitter about, generally speaking. I’ve seen some disseminating opinions on the model of League of Legends versus Dota 2. Some players seem to really prefer how Dota 2 does it . Some have mixed feels about League, but regardless you can’t argue with the success of those. I think there’s room for hopefully a similar level of success in an arena shooter with the proper design and the proper building of community. How difficult is it to innovate and push forward the shooter genre after so many years and so much competition out there? I’m salivating to implement a lot of ideas that I have. The shooter genre is caught in a cycle of thinking you need to have this AR 15, you need to have this Mossberg pump, you need to have the regular frag grenade, blah, blah, blah, and I’m tired of that. There’s so much more that could be done with weapons, with movement, with arena design, with ways you can interact with the levels. There’s so much more that I have in mind to crack the genre wide open and will differentiate the product that we’re doing. People love Titanfall because you can wall run and double jump. But there’s a lot more that you can do with player movement in the 3D space than just that, I assure you. And that’s one of the things I want to go deep on in regards to the skills. It’s not just about getting your crosshair, your mouse and your keyboard, over somebody’s head. How players maneuver around the arenas is going to be a very large part of what I want to do. We’ve seen games like DC Universe Online and Warframe do really well on PlayStation 4. What opportunities are there for free-to-play on next gen consoles? I’ve known James Schmalz and some of his crew up at [Warframe developer] Digital Experience forever now. We did Unreal 1 with them. I caught up with James at GDC this year and his words were, “We should have done free-to-play so much sooner.” But because they’re [player-versus environment rather than player-versus-player] everyone told them there’s never been a successful PVE arena, therefore you shouldn’t do it. Those are the worst types of people to have around you, because that’s the reason why you should do it. This game that I’m planning is a sci-fi arena shooter. And people are like, "Sci-fi shooters haven’t done well in Asia therefore they never will." I’m like, "No, that’s exactly why I need to be the first one to nail it." So then you’re the new MOBA that everybody is trying to clone. It was the same thing with Halo on consoles with the first-person shooters and the same thing with Gears of War and cover-based shooting. What’s the challenge of free-to-play on consoles? Free-to-play is a tricky transition for console gamers to get used to because of DLC and season passes and the whole console ecosystem. When I play a lot of console games they feel like they’re just so desperate to sell the disc that they have all this padding and extra added quests just to keep you busy to try and make the game last 60 hours, instead of great core gameplay. If a game’s only 8 to 12 hours it’s a campaign rental and it’s traded in, so there’s potential for free-to-play to do well on consoles. Will we do consoles initially? No. We are targeting PC. PC is where the community gathers. PC is where the contributors are. PC is where the performance is as well as the mod community. We want to get the game up and get it going for two or three years and then let Sony and Microsoft build up their install bases and maybe we’ll talk. We’ll see.